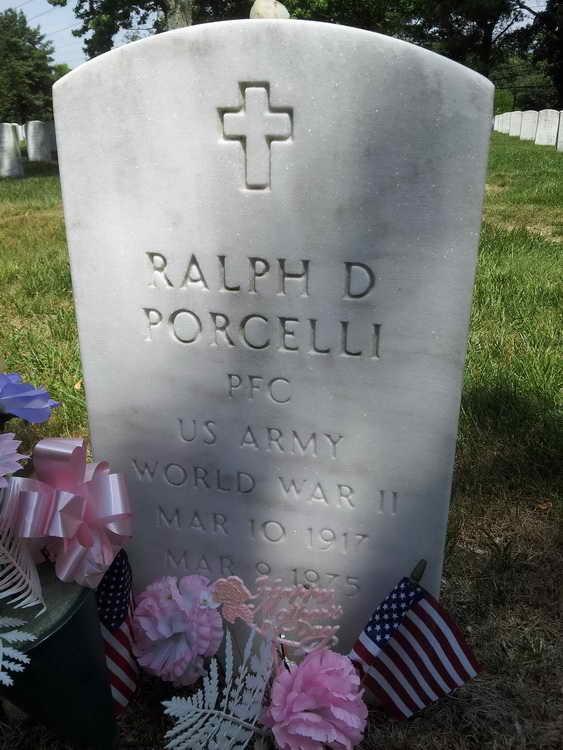 Grave marker for Ralph D. Porcelli in Section 3B Site 789 of the Long Island National Cemetery, Farmingdale (Suffolk county), New York. Ralph enlisted at in the Army Camp Upton, Yaphank, NY on 3 April 1944. On 6 October, 1944 Pvt Porcelli was transferred from the 82nd Division, Leicester, England to Service Company, 508th PIR. He was was transferred to Company C on 22 November 1944. Pvt Porcelli was appointed to the grade of Pfc on 22 Jan 1945. His military decorations include the Combat Infantryman Badge for action during the campaign, 18 Dec 1944 to 20 Feb 1945.